About the Show: Set in the majestic Canadian Rockies, Tin Star tells the story of Jim Worth (Roth), a former British detective now small town police chief, who brings his family to the tiny, tranquil town of Little Big Bear for a better life. When a vast new oil refinery, fronted by corporate liaison Elizabeth Bradshaw (Hendricks), opens nearby and their new home is flooded with workers looking for drugs, gambling and prostitution, Jim has to work hard to protect his family and the town from organized crime. Then crime strikes back. And when Jim’s family suffers a shocking tragedy, old, dark and dangerous secrets surface. We discover that Jim is not the man we think he is but is in fact ‘Jack’ – the professional name for his alcoholic alter-ego: a man more unpredictable, more charismatic and infinitely more menacing than Jim. Part drama, part thriller and part dark comedy, Tin Star is an exhilaratingly smart, breathlessly suspenseful thrill ride of a show as deceit, guilt, love, and all-consuming rage lead inexorably to a gut-wrenching finale. 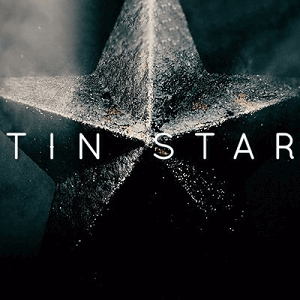 Tin Star Soundtrack Season 1 Songs – Tracklist – Listen to the playlist of all of the songs played in the tv show, who sings them, including end credits and scene descriptions.